Make no mistake, Tottenham Hotspur’s season stands at a cross-roads. The quest for the top-four as well as Europa League success is one that the Lilywhites have attacked with gusto. But whilst they are still fighting for success, the are walking the tightest of tightropes and appear on the precipice of failure. 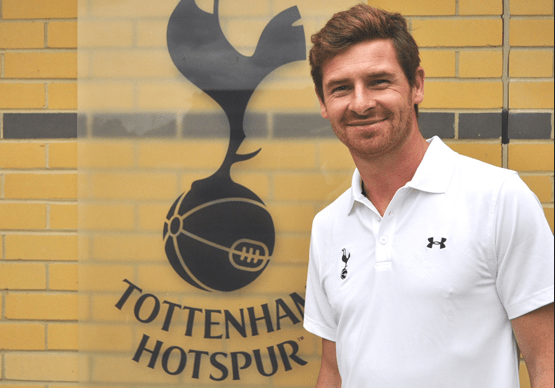 As a football supporter, I’ve got a lot of time for Andre Villas-Boas and the way he has gone about his business at Spurs this season. After his difficult time at Chelsea he has, in my eyes at least, almost fully rehabilitated the reputation that he had built for himself during his tremendous treble-winning season at FC Porto. The Portuguese has set about his task of moulding a side which under Harry Redknapp was somewhat tactically naive and which focused on sweeping gung-ho attacks, into one that looks to dominate football matches on a consistent basis; The Spurs of 2012/13 focus more on possession, pressing opponents in their own half and freeing up its best player (Gareth Bale) to produce moments that win football matches. On the whole, AVB’s debut campaign has been a fine one, albeit punctuated by the occasional lapse (for example the recent defeat to Fulham). Nevertheless, there is no guarantee that come May’s end it will be remembered as such, and if results in the next seven days go against the north London club – both in their own match on Thursday evening, and three others at the weekend and next midweek involving rivals – then a season that has at times seemed so promising, could be set for failure. First up comes a difficult Europa League quarter-final second leg against Basel tonight, with Spurs realistically in need of a victory in Switzerland if they’re to progress to the final four. However, after a defensive disaster during the first-half of the first leg (which saw them fall 2-0 down before salvaging a 2-2 draw) the odds are against the English side, especially given the Swiss sides home record in Europe this season (4 wins, 1 draw). Throw in the absences of star man Gareth Bale, speed merchant Aaron Lennon and second-top goalscorer Jermain Defoe, and they face an uphill task to remain in a competition that their manager sets great store in, and which he’s made no attempt at disguising his desire to emerge as winners. Indeed, it has been that desire, rather than merely settling behind the ‘top-four beats all’ psyche that has seemingly become the be-all and end-all for managers, which has so distinguished AVB this season, but which could after all be his undoing as Spurs struggle with injuries and fatigue. After Spurs trip to Switzerland, they go ten days until their next league fixture, by which time they could find themselves out of the top-four. Bitter rivals Arsenal, two points behind in fifth, play twice in that time, and could put themselves four points clear of Spurs, whilst third place Chelsea, two points ahead, also have the chance to put themselves five points in advance. A season of promise, could all end in tears. Conversely, with a victory tomorrow evening, and the garden which AVB has been pruning throughout the season could be set to bloom just in time for summer. It’s a game of extremely fine margins football, and Spurs are currently stuck somewhere in the middle of those borders.